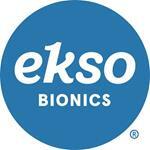 RICHMOND, Calif., Dec. 10, 2018 (GLOBE NEWSWIRE) -- Ekso Bionics Holdings, Inc. (NASDAQ: EKSO), an industry leader in exoskeleton technology for medical and industrial use, today announced that it has secured purchase orders for the EksoVest™ from two global aerospace manufacturers to create and expand pilot programs, respectively. The assistive devices will be piloted by workers on the assembly production lines of commercial and defense airplanes to enhance safety, reduce fatigue and risk of injury. In the U.S. alone, more than $21 billion is spent per year on workplace-related injuries, which negatively impacts productivity. Use of an assistive device can be an effective approach to reduce the physical demands involved in overhead work, while increasing endurance and productivity. These pilot programs will explore several applications where roughly 50 EksoVests can assist workers with heavy tools and repetitive overhead tasks in the airplane manufacturing process. The EksoVest is a wearable upper body exoskeleton technology that is designed to support a worker’s arms while performing overhead tasks. By providing lift assistance from five to 15 pounds per arm, the EksoVest reduces the strain and fatigue on workers, lowering their overall risk of injury. In addition, workers are able to complete tasks in a shorter amount of time while maintaining or improving the level of quality. Specific and financial details of the purchase orders were not disclosed.